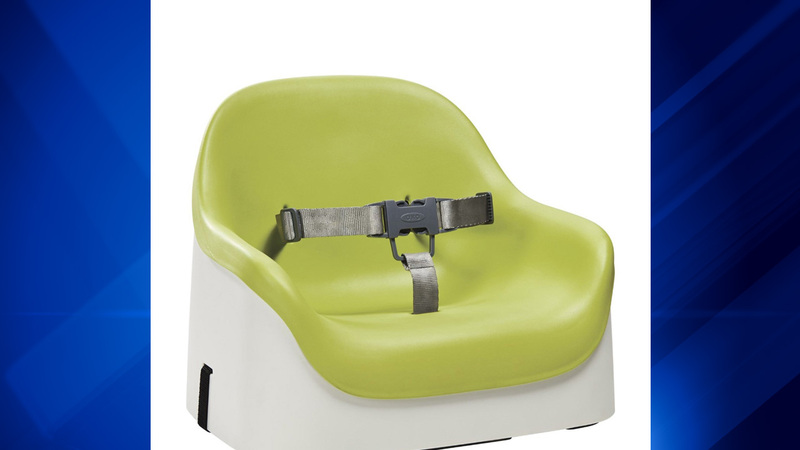 OXO is recalling its Nest Booster Seats because of a potential fall hazard. The company says stitching on the restraint straps may loosen and that allows the straps to separate from the seat. OXO has received five reports of that stitching coming undone - but no injuries. The recall affects seats sold in green (model 6367200), pink (model 6367300), taupe (model 6367500) and orange (model 6367400). The models would also have the following manufacture date codes : 0714, 0814, 0914, 1014, 1114 or 1214.